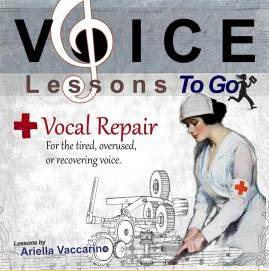 Can adults pursue professional singing without seeming selfish? We might get paid $250 to sing one night of a gig but we spend tons of time learning the music and practicing as well as money on lessons and coachings to do that $250 performance. The balance of work to pay, (unless extremely successful) is completely tilted south. This is tough and true. It is why most singers have to work a few different jobs just so that they can afford to perform. It is truly a passion that drives people's lives and it is all well and good in your 20's. It all seemed totally normal to me until someone pointed it out one day in my 30's. I was hired for a "gig" at the Ford Amphitheater in Los Angeles. The gig was going to pay me about $400 for one performance. It was a for sure thing in my mind. "So those rehearsals will actually cost you money? Don't you make like $100 an hour to teach?" uhh yeah..
"Don't you have to practice and learn the music?" - Yes, there was a lot of music that I would have to sit every day for a few months and work on. I never thought about singing as an actually job. Time spent equalling time paid. But he saw it as a job. Doing that gig did not make sense in his mind considering all the factors. I was a grown up at this point and not singing for "just the love". I did need to make money and manage my time with my other responsibilities. It was a strange moment for me. I did the gig, but the conversation with him really messed with my head. Was it worth it? And for what? In the end technically it really did end up COSTING me money to do it. But I wanted to sing, I wanted to be paid to sing, and sing in a beautiful place like a real singer. It's tough to explain to people. Not so tough in your early 20's but tougher in your 30's and 40's. Tough if you are a parent with a mortgage. Tough when you need to be practical and responsible. Tough if you are hiring a babysitter to watch your kids so you can go to a non-paid rehearsal in hopes of getting a better gig the next time. What is singing then? A childhood fantasy? A selfish indulgence? A need for audience approval? Is that all it is? It is hard to follow the dream, the gift, the passion, the purpose as a full grown adult without feeling selfish. I always new I was meant to sing. I was born with a great talent, and thankfully have done a lot of performing. As an adult though, to follow those dreams at any level other than super stardom often looks irresponsible and immature. As youngsters we are often encouraged to pursue our talents, but as adults "gigging" the weekends can seem foolish. Then there is the matured singer that finally "makes it" and is applauded for never giving up. Catch 22's where ever you look. Should adults continue to pursue their own dreams to be professional singers or must they graduate to hobbyists? What do you singers all think about this? I never said I had the perfect answer to this one. 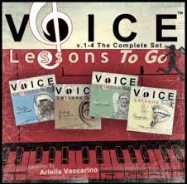 Voice Lessons To Go For Kids!- Sing Out Proud!